We have assisted hundreds of clients by providing technical consulting for Dynamics GP and ISV software implementations. Technical consulting includes the installation and configuration of the IT infrastructure and software required for the new ERP system to function, the migration of data, and the integration to tie other external systems or data sources to it. Our technical consultants will work with your team to assess what hardware, operating systems, and databases are currently in use and determine what upgrades or additions need to be done in order to meet the required specifications of the new Dynamics GP system. They can assist in setting up Microsoft SQL Server, Active Directory, group policy management, Citrix and Web Client remote access, VMware, and Office 365. Training on how to manage the IT infrastructure can also be provided. 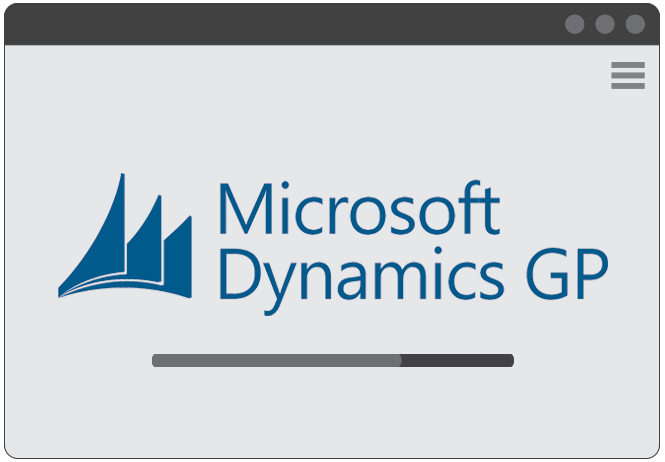 One of the keys to our success in deploying Microsoft Dynamics GP successfully is that we utilize a consistent approach and standard set of tools and templates provided by Microsoft. We leverage these tools, our experience, and specific activities within the Microsoft Sure Step Methodology to help ensure that our projects are completed efficiently and professionally, which can drive business value right away and thereby reduce your risk. Our technical consultants can manage all phases of data migration including extraction, cleansing, loading, and verification phases. We have migrated data across many accounting, point-of-sale, time clock, hospital materials management systems, and standalone databases. Some of the migrations that we have done include older versions of Great Plains to GP 2015 and GP 2016, Microsoft Small Business Financials to GP 2016, Quickbooks to Dynamics GP, Microsoft RMS to MICROS, FRx reports to Management Reporter, and non-Microsoft applications to Dynamics GP utilizing SQL scripting. Click here to learn more about migrations. In just about every ERP implementation there is a need for the new system to communicate with other ISV solutions or a legacy application that was not integrated previously. This integration might need to be working in real-time or in a batch exchange process, done periodically throughout the day. We are experienced in implementing pre-built integrations and tools that map integration points between applications such as CRM and accounting, time-clock and payroll, bar-coding and inventory, and service management and financials. But if an integration does not exist or is not possible with a mapping tool, then our expert team of integration specialists will program one for you. Click here to learn about the tools that we use for integrations. Our consultants can assist you with upgrading to a newer version of Dynamics GP, a new release of an ISV solution, or the latest update of Microsoft SQL Server. We will make sure that any modified forms and reports are updated to work in the new version. Our programming team is available to update any custom programming that was done on the previous version so that it works on the new version and install it on your behalf. Our technical team can assist you with Microsoft SQL Server database administration or can serve as your SQL database administrator if you do not have a person on your team assigned to do it. We will provide onsite or remote assistance, whichever you prefer, and conduct training classes if you would like us to train internal staff.